Aerial view of the Mid-Pacific Country Club golf course. The third, sixth, and seventh fairways are in the foreground. 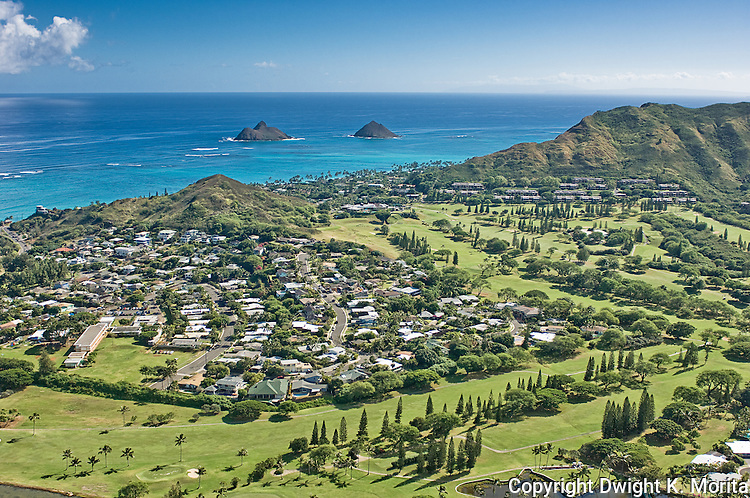 The Mokulua Islands and the Bluestone condominiums are in the distance.